I was just chatting to one one of our American online academy players, Jacob D. whose been having a problem with losing the ball. He says he wants to know how he can make decisions quicker on the field, so Jacob this article is for you and all the Effective Fam with the same issue! This is a very common issue amongst players that strive to play at at a higher level. Every players goes through it. It's especially a challenge when you make a transition between youth and adult football (when you're about 16-18). 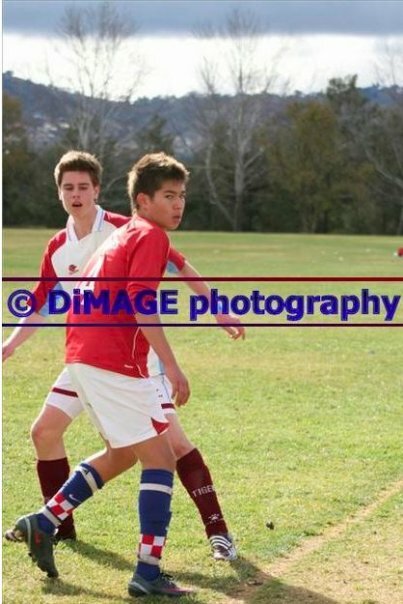 Above: A picture of me when I was 15 years old playing in the Kanga Cup in Australia. You could take your time to make decisions here, things moved slow! 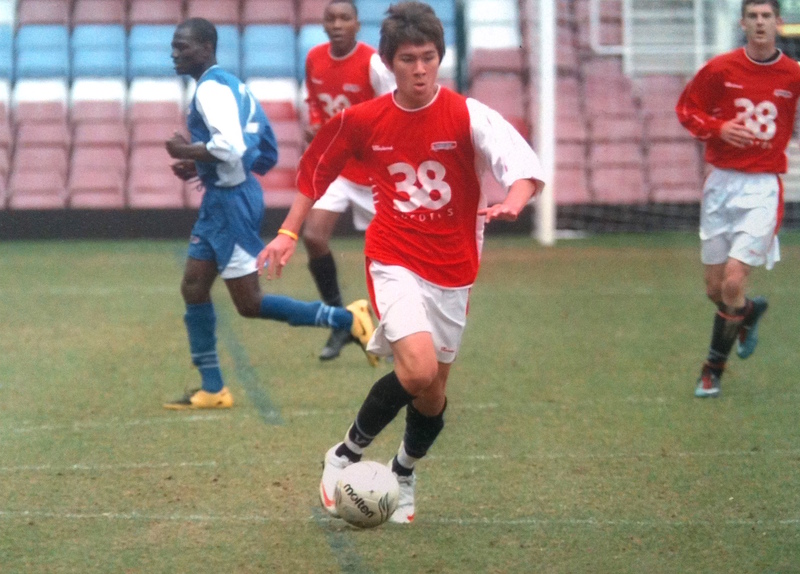 I remember how I felt when I had my first football trial at age 16 with AFC Wimbledon's U/17 squad. Prior to that trial, I had played most of my life in Australia where the game was not NEARLY as quick as in England. Above: One of the first games I played in England with older players. Things moved A LOT faster here. You had to be faster, stronger and more intelligent. If you were too slow on the ball, you'd get decked over immediately. When I stepped onto that pitch, I was forced to do everything in one and two touches. The players were focused, quick and if you took a second too long on the ball, you'd be tackled and brought down to the floor IMMEDIATELY! In my training sessions with AFC Wimbledon, it made me realise how important my speed of play was. The ability to think and act quickly on the field is what will separate the players who progress to playing at a higher level and those who stay where they are. Here's an example to illustrate the difference between a SLOW-thinking player and a FAST-thinking player. 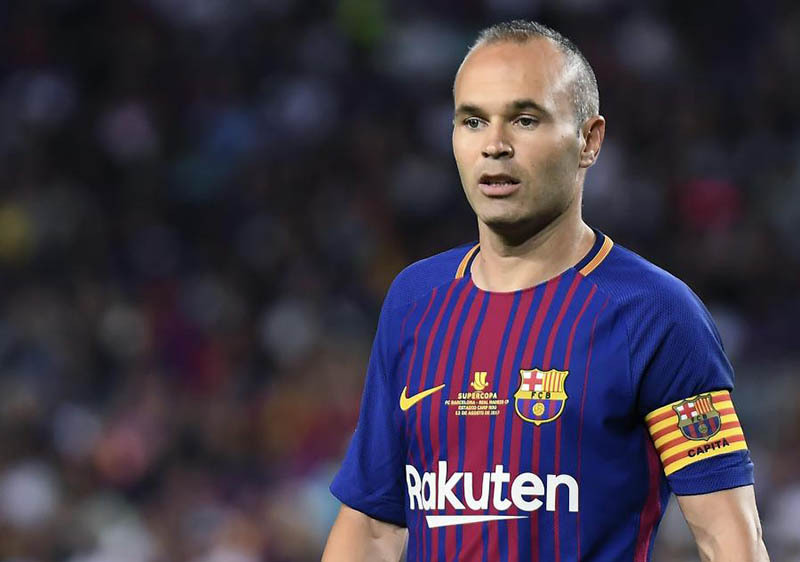 IMAGINE you are central midfielder Andreas Iniesta playing at the Nou Camp. 90,000 people in the stadium and you're there in the centre of the field with 21 other fast-thinking players. You see your centre back Gerard Pique receive the ball and the balls coming for YOU. You see an option to your right without checking if there's opposition around him/her. Above: "crap, I lost the ball!" You see a teammate close to you about to receive a ball. You ANTICIPATE your teammates pass will be made to you, so you stand on your toes READY to receive. C. See if there are any players you can play to with a first-time pass (things happen quickly remember!). C. There's no player clearly free in space in the direction you're facing that you can play a first time pass to. D. There's a winger with space 30 yards on your left you can play a long ball to and begin an attack. You've made the mental decision in advance that you'll take a first touch to your left and with your second touch you'll play a driven long ball to the winger. The ball comes and it takes a wobble on the surface, but because you're on your toes, you adjust your body and take a solid first touch into space on your left. Before the winger even receives the ball, you're already making a supporting run forward. You see space in front of you and the goalkeepers 10 yards off the goal line, so you DEMAND that the ball be played in front of you by the winger. The winger plays the ball, you chip the ball over the keeper, you SCORE! Celebration time! And you know how long those F A S T thinking 10 steps would've taken? 8 seconds at most. Read those steps again to really understand WHY many say that football starts with the head and ends with the feet. That's why it is a game for all shapes, sizes and ages. You could be physically quick but I'd choose a mentally quick player any day of the week! Frank Lampard was never the fastest or quick footed player, in fact he was regularly made fun of of his perceived athletic ability and ‘eating what he wants’. He was famously given the nickname ‘Fat Frank’. But, whatever doubts fans may have had about his athleticism, he was one of the most aware and intelligent footballers around as this video demonstrates! So how do you develop F A S T decision making habits? 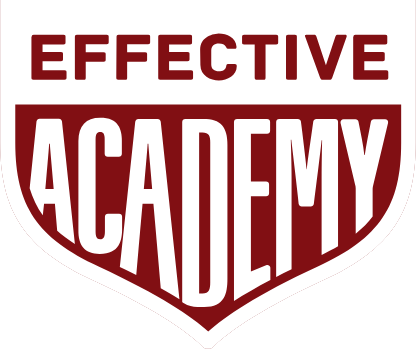 Adapting to a faster speed of play requires you to think quicker and know what you’re going to do before you receive the ball, and even two passes ahead. This is why if you want to succeed at a higher level, you have to be a player that scans regularly throughout the match. Once you're aware of whats around you before you receive the ball, you'll know where the danger is and where the opportunities are. First and foremost you must make scanning a habit. Tip #1: Every drill - Check those shoulders! With every football training drill that you do on Effective whether that's by yourself or a passing drills with the 2 and 3 player exercises, check your shoulders! Take 1 or 2 glances behind you before you receive the ball, or expect to receive it. Mimic what Lampard does! Above: Pay attention to the details in Effective exercise, in Space Exploit we encourage you to check your shoulders always! It’s inevitable that you will forget to scan at times but, we want to make this a habit in your game play, so you gotta keep reminding yourself! Try writing "scan" on your wrist or psychologically condition yourself by stepping on your toe each time you forget. Science says it takes 21 days to form a habit, so keep doing this! 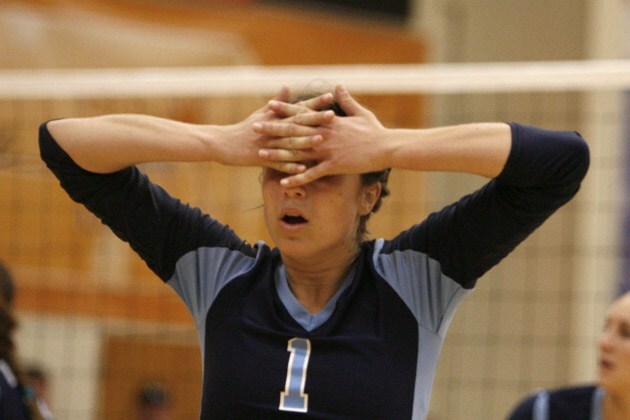 Tip #3: If you lose the ball.. REACT! Of course everyone is going to lose the ball at some point. But when it happens, don’t put your head down! Win the ball back. Don’t dwell on a mistake, keep wanting and fighting for the ball! What are some exercises I can do on Train Effective that are good for developing fast decision making habits? With every pass you make against the wall, glance 1-2 times behind you before making your next pass. See how many times you can do this in a row. Check your shoulders before making a pass, make the pass, glance quickly behind you and then make your directional touch. Know where you'll control before you make the pass! When the ball is in the air, look left and right before making a good first touch into space. Keep your teammate in your peripheral vision at all times and try stopping the ball and turning together at the same time. How many can you do well in a row? This is all about co-ordination with your partner. Once you got it right, there's no stopping you! Out of the all the exercises I recommend, this one is the icing on the cake. If you can get two friends to do this with you and take turns, its a fantastic way to train your awareness. So Jacob and Effective fam lets work on this and get faster. If I were you, I'd start looking forward to your next training where you can apply everything you've just learnt! Lets go!